GP tents light & power line. 25' long. 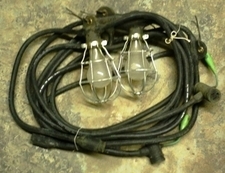 110 Volt, 2 caged bulb fittings, 2 grounded double plug receptors.